Car provided subject to assessment of driving skills and readiness for test. Rules of the road. Road signs. Hand signals. Under bonnet checks. Car light checks. In car checks. Technical checks. Secondary controls. Vehicle controls. Driving skills. Observation. Procedures at junctions and roundabouts. Turnabout. Reversing around the corner. Parking. Hill start. 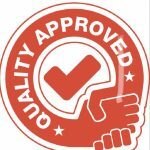 Paul O’Halloran is a Road Safety Authority (RSA) approved driving instructor operating in Cork City and suburbs. 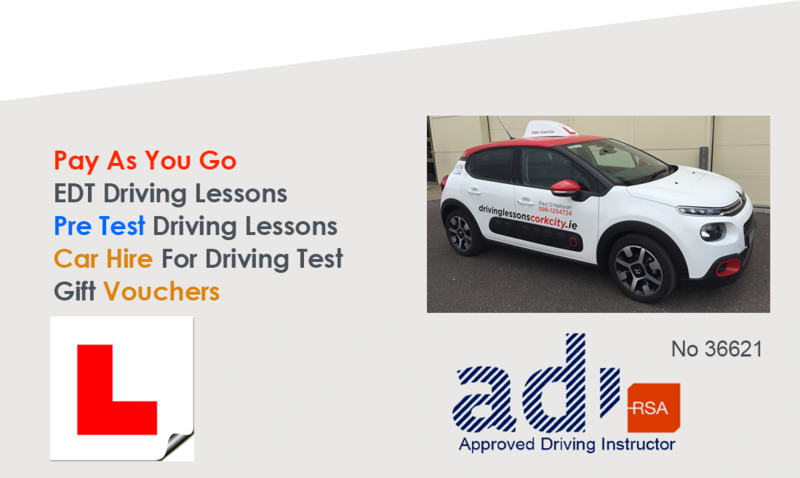 The Essential Driver Training course (EDT) which consists of 12 driving lessons can be done in my dual-controlled car or in your own car. The dual-controlled car is also available for pre-test driving lessons and practise driving lessons. 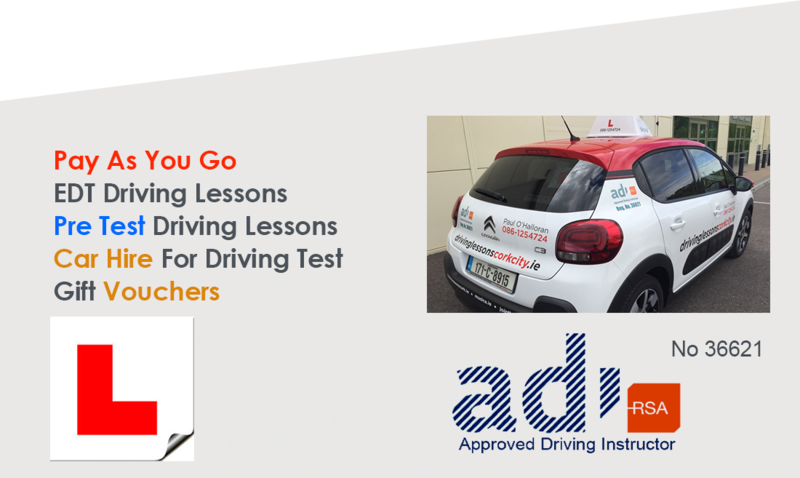 Driving lessons for those with little or no driving experience and pre-tests for those preparing to take the practical driving test are structured to ensure best results. The car is available for hire for the driving test if required. 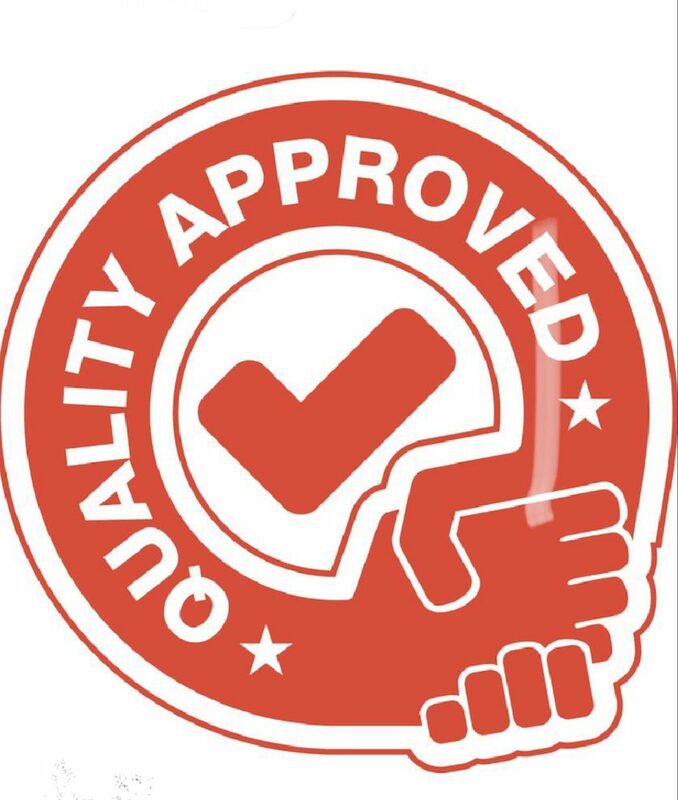 Paul O’Halloran has been an independent RSA approved driving instructor in Cork City since 2010. 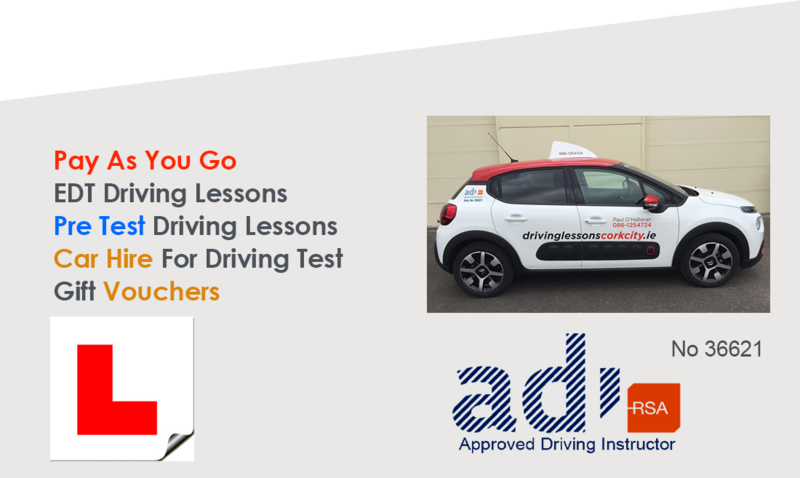 Regularly re-assessed by the RSA, his training method and information is recent and up to date and students can be assured of a comprehensive approach to driver training in preparation for the driving test.